HE IS ONE OF NIGERIA’S BRILLIANT ACADEMIC. 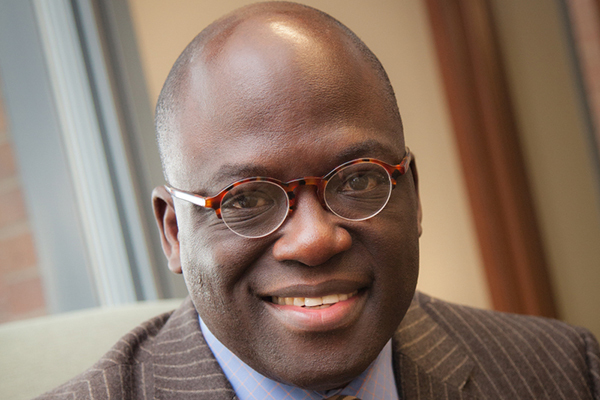 His name is BENJAMIN OLU AKANDE, a Nigerian born Naturalized American who arrived United States from Nigeria over 3 decades ago is search of higher education, greater knowledge and excellence in academic. Today, Akande’s educational contribution on topical issues is being sought after by many institutions due to his world-acclaim understanding of success, especially how to overcome obstacles to become a victor. He has been appointed Senior Adviser to the Chancellor and Director of the Africa initiative, at Washington University with effective from today April 1, 2018. In a Press Statement received by Naija Standard by Erika Ebsworth-Goold in charge of media for Washington University, it states that Akande is an American academic and professor. The release says that Akande is to lead Africa initiative at Washington University, a new position that will help guide university’s involvement in Africa. 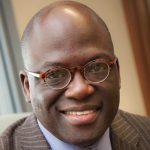 Corroborating this view, the statement confirms that with an eye toward strengthening and expanding Washington University in St. Louis’ efforts in Africa, Chancellor Mark S. Wrighton has appointed Akande as senior adviser to the chancellor and director of the Africa initiative, effective April 1. Wrighton states: “Africa is going to be far more important in this century, growing dramatically in population and economic strength, and we have to be positioned as a university to prepare our students for the challenge. We also need to provide opportunities for our faculty to increase their knowledge of and involvement in these issues. Plus, we will continue to contribute to helping U.S. corporations in ways that will be important economically. Akande, a Nigerian-born American, has built a career on African research, teaching and learning with a unique passion for a life-changing political economy across Africa. In Akande’s words: “This is a mission that is extremely powerful and one that transcends St. Louis to the world and into Africa. My role will be to harness all the research, teaching and entrepreneurship that is already happening at Washington University and bring it all together so we can have the power of impact. For the records, Akande remains the first ever African to lead Liberal Arts College in United States of America being a former 21st president of Westminister College in Fulton, Missouri.